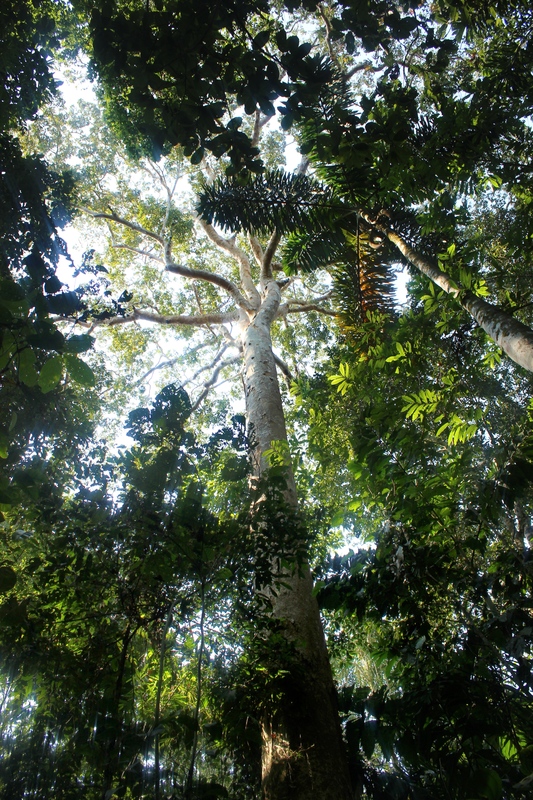 A shihuahuaco towers over the canopy in a protected area in Madre de Dios. This emergent tree is a keystone species during the dry season when fruit resources are sparse for monkeys, peccaries, other mammals. Shihuahuaco, an ironwood in high market demand, is used as charcoal and is sought after in carpentry and parquetry (floorboard industry). 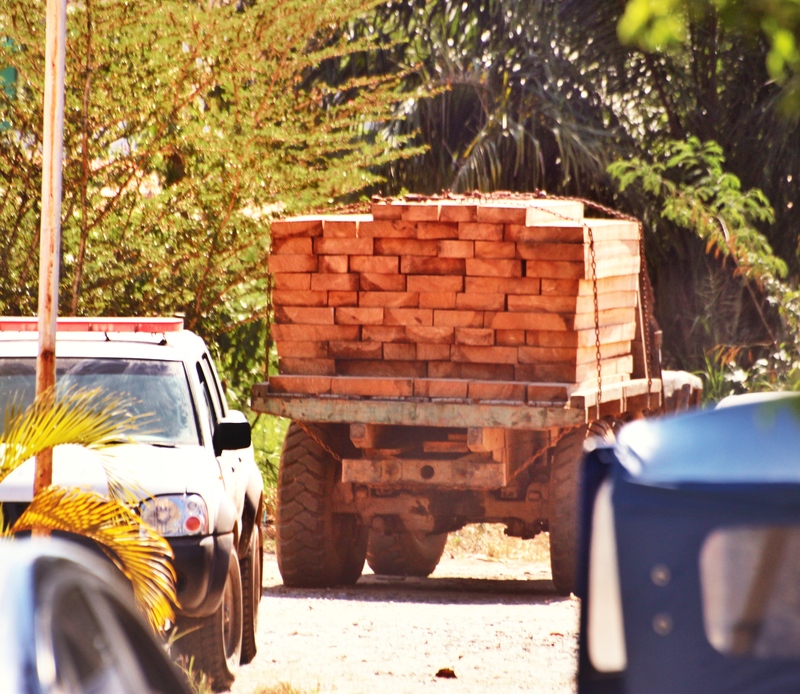 A dissertation published in 2010 found that exports of shihuahuaco to China represent over 50% of Peru’s timber exports (see http://search.proquest.com/docview/906489371). The above quote was from a discussion while hiking in the jungle conducting participant observation with a man who depends on logging exotic wood and working in ecotourism/conservation to earn a living. 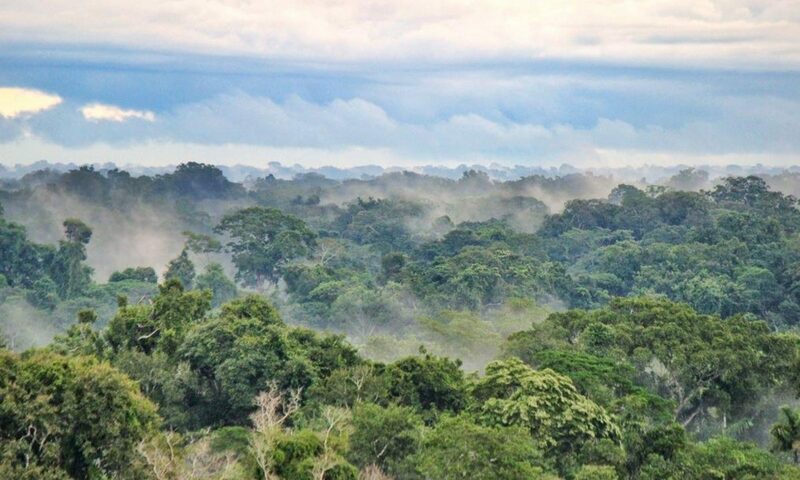 One thing that might upend our understanding of local conservation in Amazonia is that while biodiversity conservation and natural resource extraction are often represented as ideologically contested (and driven by divergent material ambitions), these market sectors can be complimentary from the perspective of local labor. While hiking with “Franco” (synonym used to protect identity) we passed by a shihuahuaco tree which I used to spark a conversation about his earning potential in timber (a technique my advisor, Jeff Cohen, and Jason de León describe in a discussion about ‘object and walking probes’). As I described in the previous ethno-blog entry, participant observation has generated meaningful experiences with research participants and has helped me identify and pursue new research questions. One of these new intellectual curiosities relates to the moral distinction Franco made between “sobrevivir” (to survive) and “plata” (cash) to contrast his situation from those of others who profit exceedingly in natural resource extraction. This binary arose at least once before with another research participant, but how does the ethnographer navigate the vast corpus of fieldwork data that spans several months (or even years) to identify and locate reoccurring themes? I will tackle this question and describe how I curate data from prolonged periods of fieldwork to identify common themes and issues that appear across time (see video below). I will also share a few findings from participant observation research in el monte (backcountry, or jungle) to demonstrate how previously collected ethnographic data can be mobilized to design well-informed questionnaires or interviews. This recursive approach is a quintessential aspect of doing ethnographic research; in the words of anthropologist Michael Agar (2006), “At first you cast the net wide, but with time the focus narrows, within what you learned in those early wide-open days.” As just one example of this “funneling” down process, I now plan to use the binary of ‘surviving vs. profiteering’ that arose during participant observation fieldwork over recent months to generate structured interview questions that elicit local attitudes about capital accumulation in the extractive economy in Madre de Dios. Future interviews based on findings from participant observation might include questions like: “What is the difference between logging to survive versus making a profit?” or “Is mining for profit morally reprehensible compared to mining only to support one’s family? Why or why not?” Another approach is to share my research findings with interviewees and ask them to address my overall question: “Why do you think some people make a moral distinction between logging to survive versus logging to profit?” These are just a few examples of questions I am currently drafting as I prepare to conduct structured interviews. A caranchera moves large volumes of sediment to extract gold at a beach on the Madre de Dios River that has been cleared for mining. This image of semi-mechanized mining exemplifies what research participants mean when they say some people mine gold for “plata” (cash) or profit, to contrast their artisanal mining (smaller scale, removes less ore) as a means of survival. I now turn to a different research finding to further describe how participant observation can generate new questions for ethnographic interviews. One of my overall research objectives in this project is to ascertain the cultural outcomes for local people who have shifted livelihoods from natural resource extraction to biodiversity conservation. With this in mind, I became increasingly interested in the ways people who work in the conservation economy conceptualize, relate to, and interact with the surrounding animal world. The logic goes that if conservation workers are to be custodians of wildlife and their ecosystems, then we would expect that their practices with animals and their conceptions of them would vary to some degree from people who work in natural resource extraction. To give an example, one cultural outcome of working in conservation is dietary change resulting from a shift in moral attitudes about consuming meat from wild animals (and some ecotourism workers are even vegetarians). However, through participant observation (e.g. eating meals with park guards, conservation staff, ecotourism workers, etc.) I discovered that consumption of wild animals is still a discursive practice to which some conservation workers vehemently opposed and others described with great pleasure, even noting their favorite meals like sopa de motelo (tortoise soup), caldo de coto (howler monkey stew), huevos de taricaya (turtle eggs), chicharrón de huangana (fried collared-peccary rinds), among other dishes. 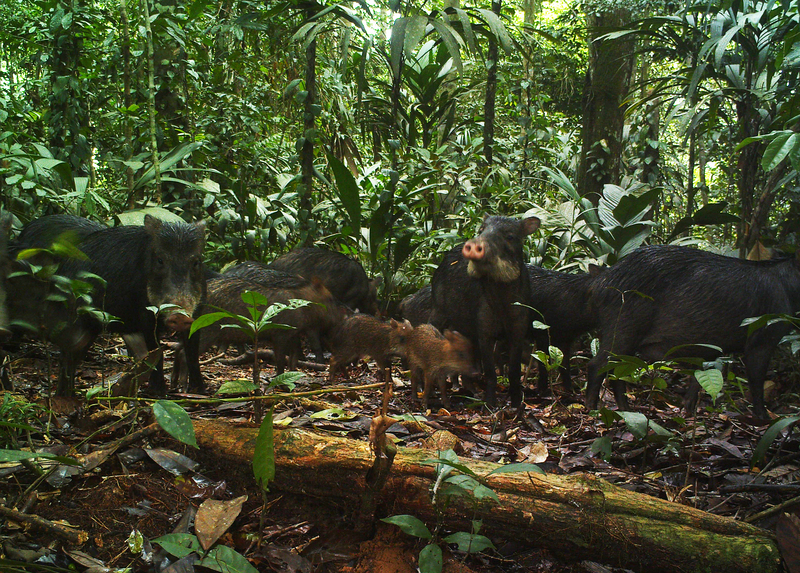 A group of white-lipped peccaries (Tayassu pecari, locally called huanganas). This species lives in large herds of anywhere between 50-200 individuals and are frequently hunted across the tropics. Huanganas provide an important protein source for families who live in rural parts of Madre de Dios, such as in native communities and mining pueblos. Hunting of wild animals was also a particulary interesting topic that yielded great insight into local meanings of conservation. For example, a former park guard who worked at Bahuaja-Sonene National Park described conservation as a means to increase local animal populations of huanganas (white-lipped peccary, Tayassu pecari) for game hunting, which suggests that for him ‘biodiversity conservation’ does not significantly differ from ideas of natural resource preservation/wildlife management. 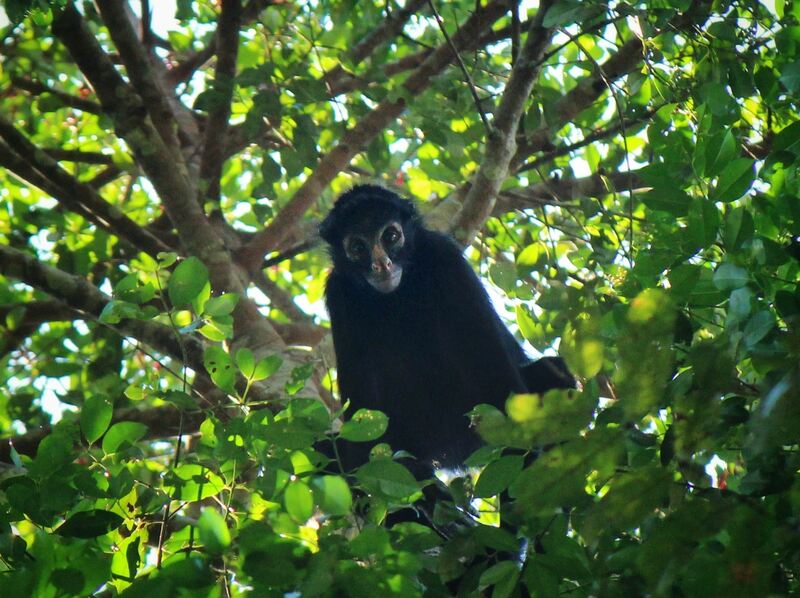 Spider monkey, locally called maquisapa. ‘Maki’ means ‘hand’ in Quechua, sapa is the suffix for magnitude. 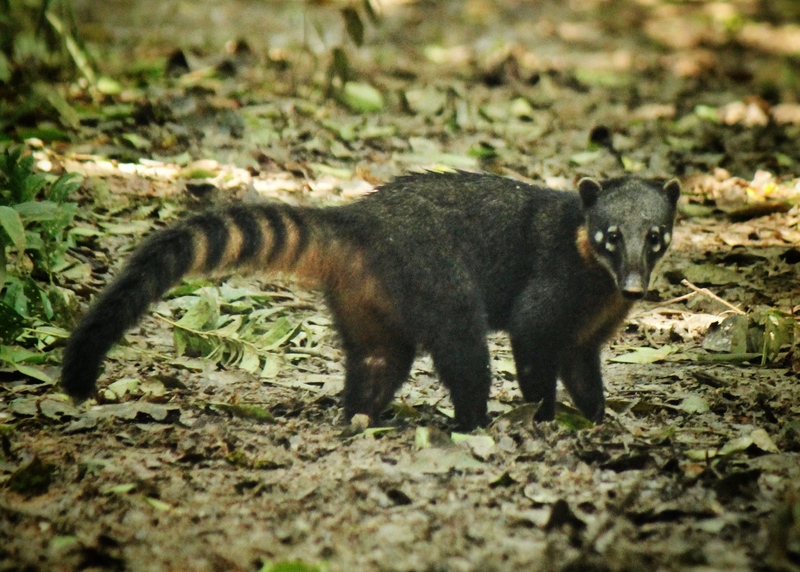 Of the nearly dozen sympatric species in this region, Maquisapas are preferred by hunters because they are larger-bodied primates and thus provide a voluminous amount of meat. Recent participant observation fieldwork with conservation workers has spurred me to develop interview questions about consumption of wild animals. 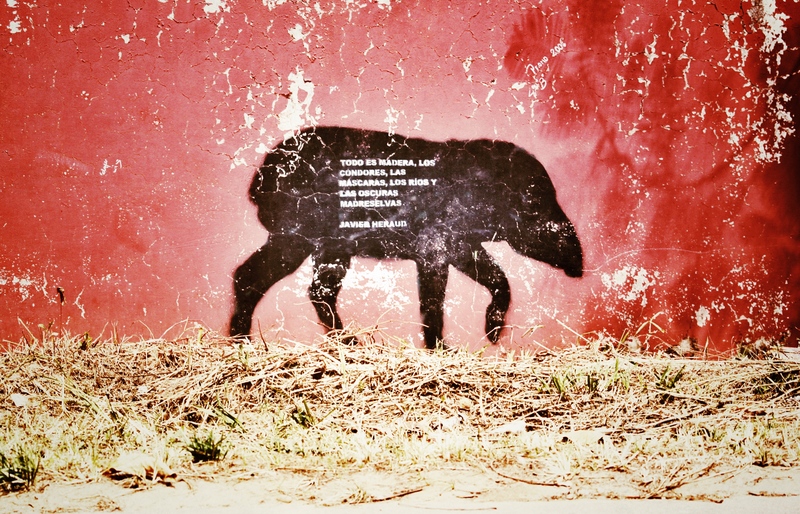 In addition to consuming and hunting wild animals, participant observation also led to new findings about the domestication of wild animals (e.g. raising monkeys as pets), keeping captive animals to attract tourists at eco-lodges, and the use of metaphors comparing human behavior to particular animal species based on certain traits. For example, a few times while working alongside conservation workers I heard about the concept of cutipar, the phenomenon through which a person is “contaminated” by the characteristics of an animal, plant, or object (read more about cutipar here). While I have yet to learn the extent to which this idea is common across the mestizo population in Madre de Dios, the term “cutipado de pelejo” is sometimes used to call out a fellow coworker who is slow moving and has a lazy demeanor, like a pelejo (sloth).